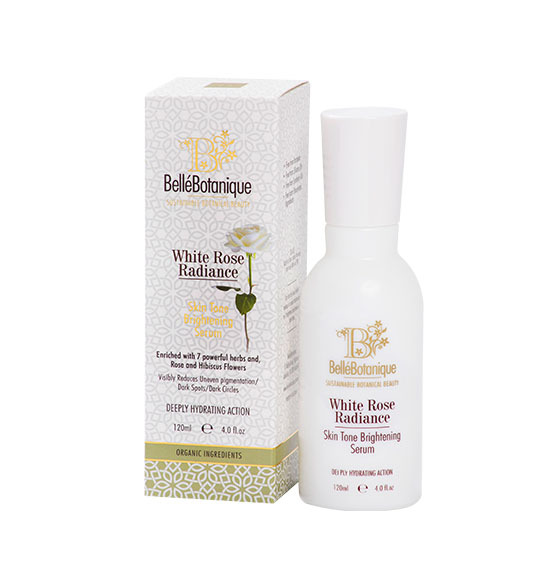 White Rose Radiance Serum hydrates dull, lack luster skin for a brighter, more radiant appearance. Biocompatible nutrients restore balance to unevenly pigmented and irritated skin. This high-potency, lightweight brightening serum delivers a refined and radiant look. 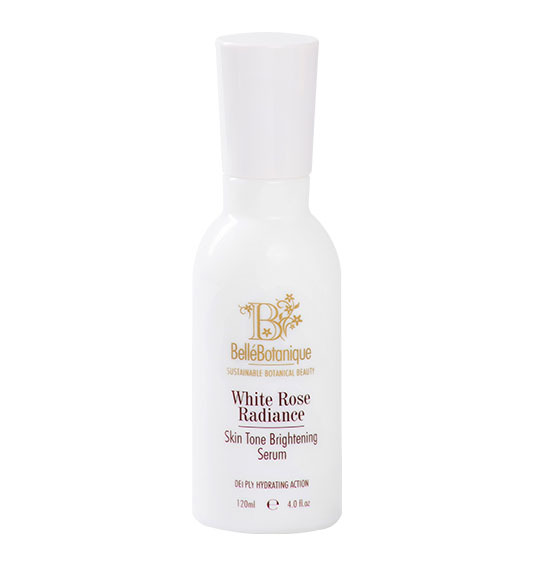 Daily use suppresses epidermal signals to produce melanin and helps reduce uneven pigmentation. 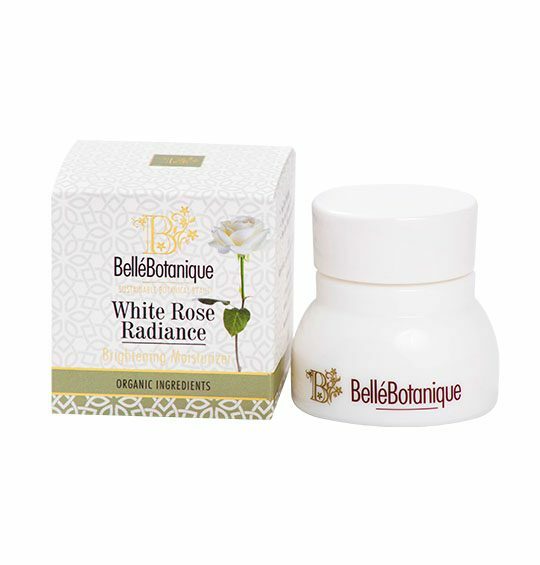 With continued use, skin becomes resistant to dark spot appearance. Ingredients: Purified Water (Aqua), Rosa centifolia (Rose) Flower Ext and Citrus aurantifolia (Lime) Peel Ext and Carica papaya (Papaya) Fruit Ext and Glycyrrhiza glabra (Licorice) Root Ext and Camellia sinensis (White Tea) Ext and Arctostaphylos Uva-Ursi Leaf Ext and Rhodiola rosea Root Ext and Citrus sinensis (Orange) Peel Ext and Butylene Glycol (Natural) and Propanediol (Natural) and Glycerine, Niacinamide (vitaminB3), Sodium Lactate, Panthenol (Pro Vitamin B5), Arginine PCA, Xanthan Gum, Hibiscus sabdariffa flower extract and Magnesium hydroxide, Phenylethyl Alcohol, Saccharide Isomerate, Dehydroacetic acid, Potassium Citrate, Benzoic acid, Sodium Hyaluronate. Apply to face, under the eyes and neck AM and PM. Can be used before makeup or under a moisturizer. Disclaimer: Belle’Botanique products are cosmetic in nature and application. They are not therapeutic, and are for external cosmetic use only. 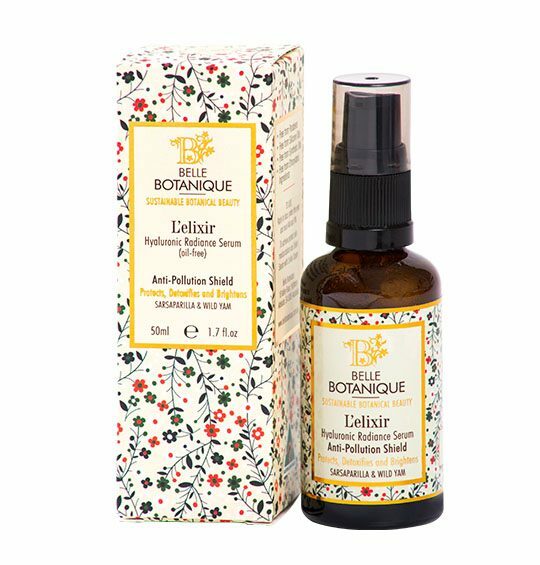 Belle’Botanique products are not intended to diagnose, treat, cure or prevent any disease or health condition.